Wedding season leaving you broke? There’s no need for you to buy outfits you won’t be repeating in a long time. Thanks to these rental stores around town, you can sport a different look in every party, wedding and function, without breaking your bank. Check out these rental stores from where you can get your hands on some noteworthy outfits. We love this hidden gem because of their great service, trendy styles and of course, the complete value for money experience every time we pick something up. The rental here starts at INR 400 per day for suits. #LBBTip- Even if you pick up the suit on day 1, wear it on day 2 and return it on day 3, you’ll be charged only for one day. Awesome, isn’t it? 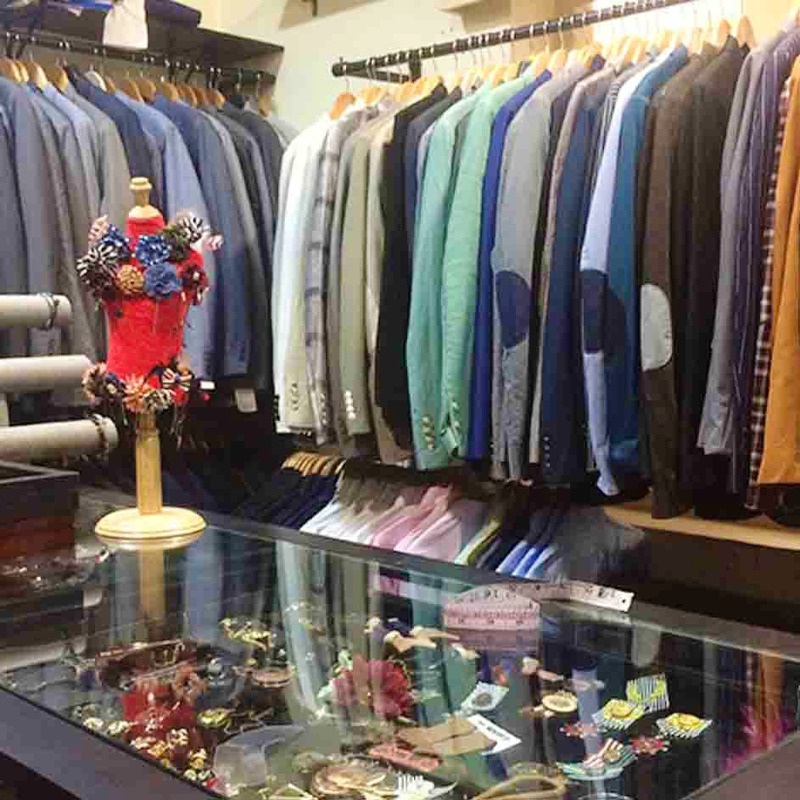 This apparel store is tucked away in the by-lanes of Bandra, and is the place to go to if you’re looking for that head-turning suit you’ve spotted on a celebrity. We love their whacky collection too, and the service is impeccable. All the clothes are made to fit before renting them out. The prices here start at INR 600. #LBBTip- You will have to pay a deposit too, which would be refunded once you return the clothes. Looking for a designer sherwani? Or how about that suit jacket? Head over to the Flyrobe store in Borivali to get your hands on some super trendy and drool-worthy pieces. They have some of the biggest designer names on offer, so you might as well go all out and get that outfit you’ve been dreaming of. Feeling extra fancy? They also have tuxedos. You need to place an order 5 days prior to the event and you can keep your rental for a minimum of 4 days and a maximum of 8 days. The rentals start at INR 1,500 - INR 2,000. If you’re looking to rent out ethnic wear, head over to the Wrapd website and check out their Nehru jackets, coats and suits to complete your look for the special day. They also have western outfits to choose from. You need to place your order online, and they will deliver it to you in 48 hours. The rental starts at INR 1,000. #LBBTip- They also allow people to put their wardrobes on rent. So if you’ve got a dress which you’ve only worn once, send it across to them. This high-end boutique in Bandra is your go-to destination during times you need that perfect designer piece for the big day. They source original brands from across the world, and even have ethnic wear here in the Bandra store. To rent, place a request on their website. The staff will then get in touch with you. Rentals for suits start at INR 2,000.